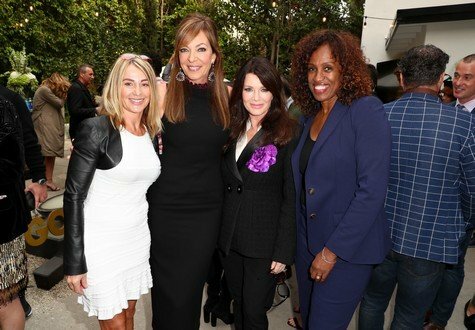 In our newest reality star sighting photo roundup, we have The Real Housewives of Beverly Hills star Lisa Vanderpump hanging out with Nadia Comaneci, Allison Janney, and Jackie Joyner-Kersee at the gold meets golden event in L.A. over Golden Globes weekend. Yolanda Hadid was seen running errands in NYC as she prepares to do press for her new reality show that debuts this week. Since “officially” announcing her pregnancy on Keeping up with the Kardashians, Khloe Kardashian has been photographed venturing out in public again. Check out these and more pics below, including Kendall Jenner and Giuliana Rancic at the Golden Globes, newly engaged Paris Hilton and her parents, Lisa Rinna and family, Gloria Govan and family and many more! Bethenny Frankel showed a little leg and a healthy glow as she attended the Women’s Health and FEED’s 6th Annual Party Under the Stars at Bridgehampton Tennis and Surf Club this weekend. Is it just us or is Bethenny looking really great lately? I don’t know if it’s better stress management, a new facialist, a new makeup artist or what but she looks good! In Las Vegas, former Real Housewives of Beverly Hills star Eileen Davidson attended the premiere of Sharknado, along with reality star Kendra Wilkinson. Over in L.A., sisters Gloria and Laura Govan stepped out for the premiere of the Nut Job 2. Also below you’ll find Farrah Abraham during an appearance at Crazy Horse III this weekend. (A few are a bit NSFW, just to forewarn you). Check these and more out below in the gallery. Date night hottie alert! Vanderpump Rules stars Tom Sandoval and Ariana Madix enjoyed a double date night with co-star Scheana Marie and her new guy, Robert Valletta, at the premiere of Power Rangers this week. It looks like Tom shaved off his long hair and the frosted tips! What do you think of the new look? Eden Sassoon stopped by the Hollywood Today studios to talk Real Housewives of Beverly Hills. Also out and about: Dance Moms star Chloe Lukasiak, former Househusband David Foster and more! See which of your favorite reality TV stars stepped out this weekend to attend events and grab lunch with co-stars. 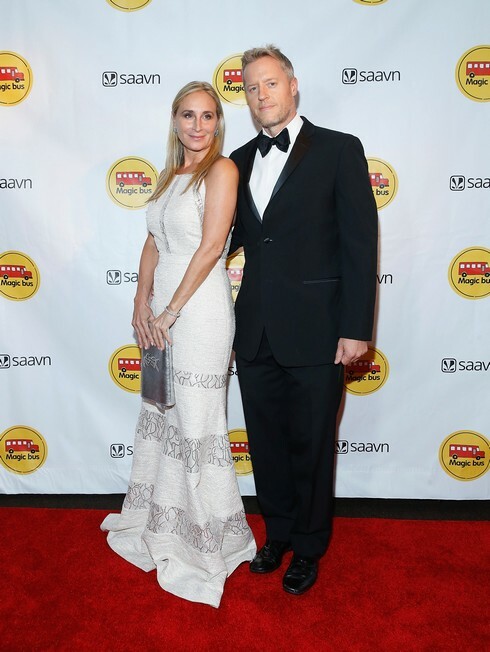 In the photo above, Real Housewives of New York star Sonja Morgan hit the red carpet with David Svanda (a blast from the past! Sonja had been seen around town with him back in 2014). Also spotted: Kyle Richards running errands and having lunch (with Eden Sassoon?) in Beverly Hills. Meanwhile, Bethenny Frankel was over in Pennsylvania for the 2016 Evening of Giving Event. Other star sightings: Dorinda Medley and John Mahdessian, Val Chmerkovskiy, Gigi Hadid, Khloe and Kim Kardashian and many more!